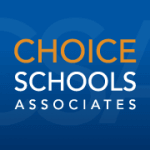 This year, Choice Academies are welcoming four Assistant Principals to the leadership team at various academies. Three Oaks Public School Academy, West Michigan Academy of Environmental Science, Bradford Academy, and Four Corners Montessori Academy have all been sharing the leadership love with their new fellow assistant principals. In order to better get to know the staff members in these new roles, we’ve put together a “Get to Know the Crew” section! Alan comes to TOPSA with seven years of experience in education. Most recently, Alan helped to open a K-12 school where he served as a school counselor and also helped in leadership roles. Prior to that, he spent two years working within a special education residential setting. He led a before/after school program in Mattawan, and a summer camp in Alto. 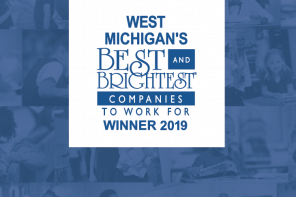 This year, Alan is extremely excited to meet all of the Three Oaks students, families, and connect with the Muskegon community. He’s ready to build a strong school culture, meet every student where they are academically, accelerate learning opportunities, and continue TOPSA’s best K-5 charter school in Muskegon title. Alan greatly enjoys working in schools and embracing the energetic area that is bustling with students growing academically, socially, and emotionally. To him, schools should be a family-like atmosphere where students feel safe and unique. He also understands how creative and resilient kids are, offering him the opportunity to talk with students and see their progress throughout the school year. Alan wants to develop students with the skills necessary to better their community and their country. Nate has been an elementary technology teacher with WMAES since 2009. In the past, Nate has served as the elementary interim principal during the elementary principal’s maternity leave, and also during leadership absences. This year, however, he takes on a much more inclusive leadership role as the new elementary assistant principal. With his new position, Nate is most excited about positively affecting the students on a different level. He truly enjoys the energy young students bring, and the enthusiasm and excitement they have for learning and life. As an assistant principal, Nate is looking forward to having a real opportunity to shape character and increase students’ performance in academics. As a leader within an environmental school, Nate is excited to create environmentally responsible children who will become environmentally conscious adults. Nate really enjoys the integration of the environment into their curriculum, and is looking forward to contributing to the curriculum side of things. WMAES encourages students to explore their 62-acre campus and to have fun in the process, and he’s looking forward to participating in it all! Sara isn’t new to the Bradford Academy scene! For the past five years, Sara has been a kindergarten teacher with Bradford. 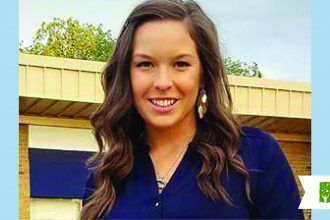 She greatly enjoyed teaching kindergarteners, and seeing how much growth they accomplished both academically and socially in one year’s time. This year, Sara is very excited to be taking on a leadership role within her same academy. It will be her first year outside of the classroom, but she’s looking forward to the opportunity to work with more students and to continue being part of an amazing school. Sara’s favorite aspect of working in a school is being able to see the growth in each child throughout the year. With five years as an educator with Bradford, Sara has been able to make amazing friends in the school and community, who she considers a part of her family. As they say at Bradford, “We are a Family!” She considers the students, their families, and her co-workers all part of their family. She is also looking forward to being able to laugh, smile, and work through tough times with the students. Working in a school has allowed her to grow as a person. She has learned so much about herself, and she’s thankful to gain new and rewarding experiences as a leader. This fall marks Stacy’s seventh year with Four Corners Montessori Academy. 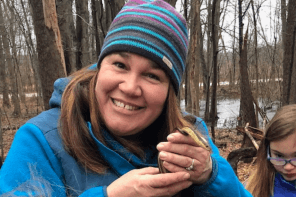 She is currently an instructor at the Michigan Montessori Teacher Education Center (MMTEC) and has been involved in Montessori education for over twenty years. With her dynamic background in Montessori and education, Stacy is sure to make a great assistant principal at FCMA. In her new role as assistant school leader, Stacy is excited to be working more closely with the dedicated team of educators at FCMA. When it comes to being a part of a school, Stacy greatly enjoys the opportunity she’s given to learn and grow on a daily basis, alongside the children. Stacy loves working with children. Her goal is to help them love to learn, and for them to embrace the process without fear and trepidation. She enjoys seeing those who hesitantly enter the doors of FCMA at the beginning of the year leave (at the end of the year) as confident and independent individuals.